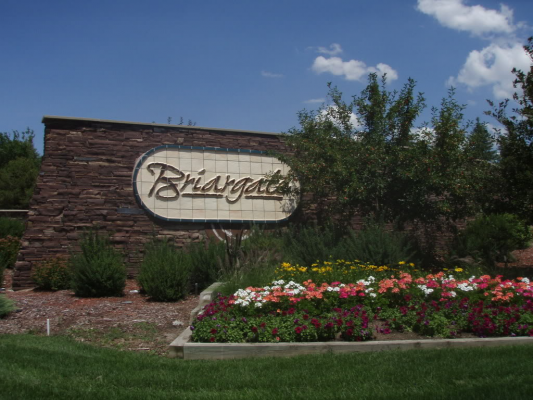 On 6 December 2018, Colorado Springs District 2 City Councilman David Geislinger held a townhall to discuss a possible change to the Briargate Special Improvement Maintenance District (SIMD). The videos to this meeting and the August meeting are posted at the end of this blog. Eric Becker, City of Colorado Springs employee in charge of Special Districts, spoke about the Briargate SIMD. Becker told the crowd that Briargate has the largest special district in the city —88 acres that need irrigation and care. There are 9,851 properties in the SIMD, but not all properties are being charged the SIMD fee. Sometime back in the 1980s, a mistake was made by an unknown person or entity, and 2,250 properties were not charged the fee. Still, those properties reaped the benefits of the maintenance district for several decades. Mr. Becker reported that the SIMD budget for 2018 was $930,264 and that the SIMD accounts for about 5% of Briargate property tax bills. Are you being charged the SIMD fee? Take a look at your tax statement. As Mr. Becker went through the slide presentation, the budgetary problem was clear. In 2009, the water bill for the 88 acres was $251,000. In 2018, even with a 23% cut in the amount of water used, they still spent $348,000 on water and much of the landscaping received inadequate water. For those who live in Briargate, it’s very apparent that they aren’t getting much for $348,000 in water, as the trees and grass are dead in many areas. Mr. Geislinger spoke about several solutions for the special district. His key focus was on replacing the SIMD with a new special district. He wants to add the 2,250 untaxed properties to the Special District in the form of a General Improvement District (GID), doing away with the current SIMD and replacing it with a GID. Mr. Geislinger says the only way to bring the untaxed properties into a special district is to create a new special district and do away with the old one. Also, as a way to add more funds to GID, they are floating the idea of increasing the mill levy to either 5.0 or 6.0 (from 4.409) as a way to increase revenue into the special district. Increasing to 5.0 would add $110,000 extra revenue each year (about $10/house) and increasing to 6.0 would add $298,000 each year (about $25/house). Mr. Geislinger reports that the city attorney does not want to handle the change over to the new district, as it is very complicated. The SIMD would have to hire an attorney that specializes in special districts, at a cost of $25,000-$50,000 and pay for the attorney out of the current SIMD budget. Mr. Geislinger wants a special ballot question on the November 2019 ballot. The cost to put the issue on the ballot would likely be paid for by the city, but Mr. Geislinger says he won’t make any promises on it, though. More meetings are coming up and SpringsTaxpayers.com will keep you informed, as this matter is discussed more over the coming months. If you want to share your comments about the SIMD, contact Mr. David Geislinger at dgeislinger@springsgov.com. Also, Mr. Bill Murray, at-large City Council representative, will want to hear comments and questions at bmurray@springsgov.com.